You're missing out if you're too scared to try avocado for dessert. There's more to avocados than toast. Move over, Mister Softee: There's a new dessert master in town. You're already cool, and now your breakfast can be too. Happy Fourth of July! We are headed to Colorado to visit friends and family and enjoy the beautiful Rockies. Before we leave, here is a patriotic treat to savor on these warm summer days. 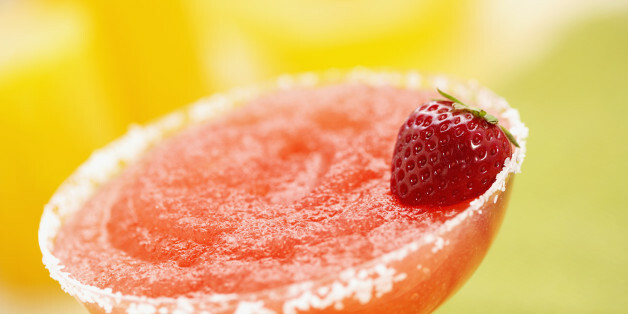 I'm no stranger to a happy hour menu and my go-to drink is definitely a margarita! Nothing beats the sugar rush of creating something new out of an old favorite. Growing up, Rocket Pops were my favorite summer treat. They're juicy, they're refreshing -- but they're also filled with a long list of unnecessary ingredients. So I've made a fruit-heavy, lightly sweetened treat that you will enjoy all summer long -- starting with the Fourth of July. Luckily, freezer cases are overflowing with better-for-you frozen dessert. They're perfect for when you're craving a chilly treat but don't want to blow your calorie budget or send your blood sugar counts through the stratosphere. Despite their less than perfect look, the peanut butter and blackberry combo was the bigger hit. Some of life's greatest inventions were actually accidents. Cool down this summer with rockets, sailboats and robots.